Successfully saved Pesto Vegetable Frittata to your Calendar. You can also save the ingredients to your Grocery List. 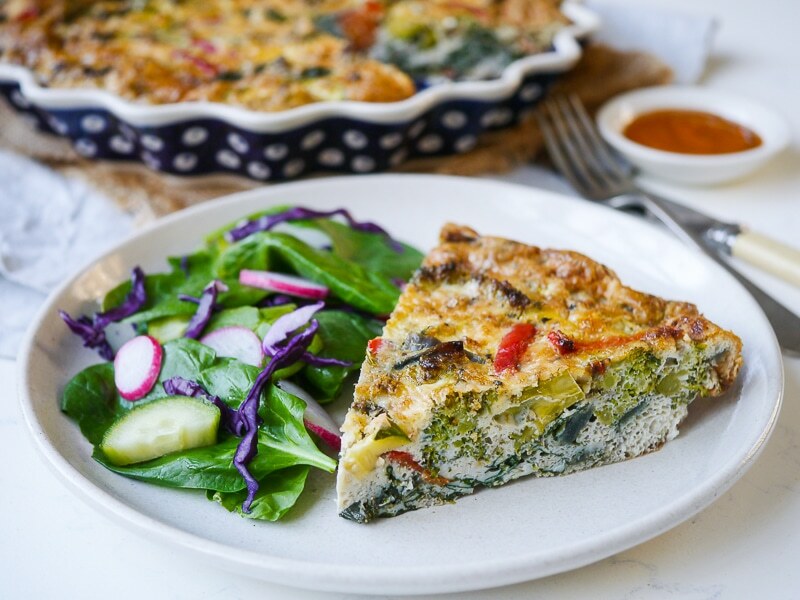 This pesto vegetable frittata makes an easy, healthy meal that can be made ahead of time. Gluten free and grain free, a simple delicious way to get in your veggies!